This is the conversation that took place on the Friday night when my kiddies surprised me with a pet hamster. 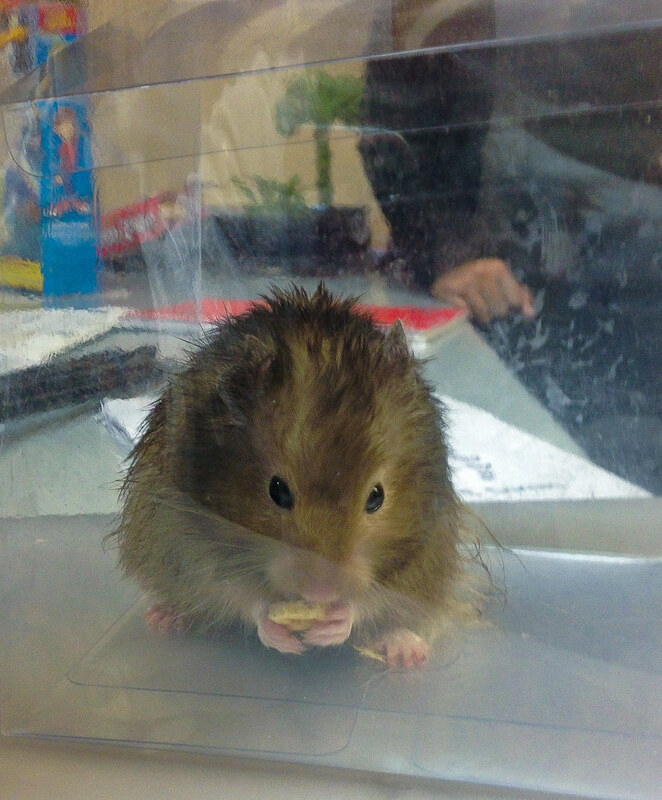 I teach a group of wonderful teenagers every Friday night and sometimes they like to surprise me with gifts…like a real-life, four-legged, living-and-breathing, hyper hamster. I was floored with their incredibly thoughtful gesture, and speechless at the same time that I was the new father of a hamster. But when I finally gathered the words to speak, I said the first thing that came to mind— “a hamster?? Thanks so much! I appreciate the gift, but I can’t take him home because the two guinea pigs would destroy him!” It’s true—those gpigs are ferocious…I raised them to be attack-pigs for protection. 1. I’d call every available animal shelter and pet shop in the area to see if they’d accept a happy little hamster. 2. They’d post “free hamster with free delivery in 30 minutes” on all of their social networks. Then we’d sift through the list of willing candidates and deliver him to the first suitable owner. After 45 minutes of monitoring all responses to the urgent request, we found a loving, willing family of four who took him and named him “Spike” because of his Spiky hair (a byproduct of him urinating all over himself). Then I reimbursed the kids the full cost of the hamster, plus $1 for their trouble. 1. I should be ready for any kind of gift when it comes to my kiddies, including living, breathing things. 2. If someone is willing to give you a life, they really care!